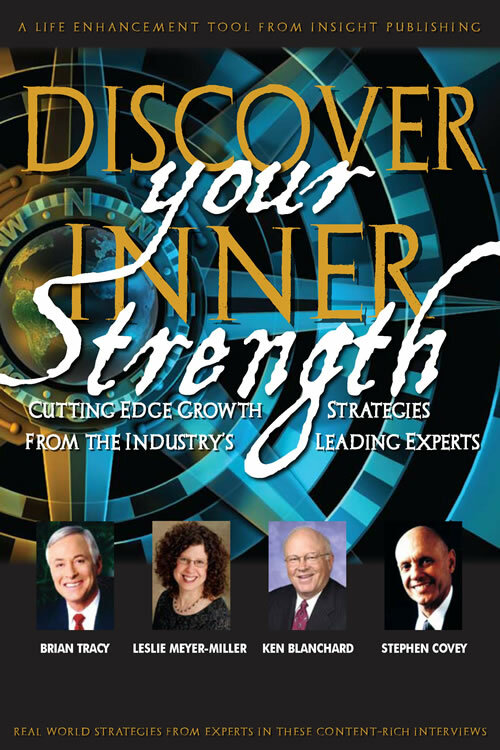 SEVIERVILLE, TENNESSEE: Leslie Meyer-Miller, keynote speaker and author, has been selected from a nationwide search to be featured in Discover Your Inner Strength, a highly successful book series from Tennessee based Insight Publishing. The book features best-selling authors Stephen R. Covey (Seven Habits of Highly Effective People), Brian Tracy (Million Dollar Habits), and Ken Blanchard (One Minute Manager). 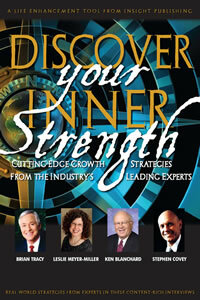 Leslie Meyer-Miller, Blanchard, Covey and Canfield, are joined by other well known authors and speakers, each offering time-tested strategies for success in frank and intimate interviews. Working for over 17 years in the health field Leslie has a passion for health and wellness. In 2001, she founded Passage Insights, LLC to focus on the area of wellness and living more pro-actively. Today, her mission in life is to help people achieve optimal health. Leslie's own life journey of overcoming serious health challenges facilitated her wanting more out of life while honoring her values and self. Through Leslie's own life experiences and professional training she has developed systems of health and well-being while empowering people to take charge and care of themselves. Leslie says, "The mind and body are very interconnected. We tend to forget our body is a great teacher of what we need." Leslie helps people just like you, to pause and listen to the messages your body is sending. Leslie, a certified co-active life coach and a frequent presenter on health and wellness, completed an intensive coaching program at the Coaching Training Institute (CTI). CTI, one of the world's leading coaching programs, was instrumental in helping establish the International Coaching Federation. In 2008, she completed the Wellness Inventory course and now uses the internationally acclaimed Wellness Inventory Assessment with her clients.